There’s such a huge selection of sunglasses styles, prices and features that sometimes it’s hard to decide which pair is the best. Finding a pair of sunglasses you love is easier if you start thinking about your possible choices now, before you go shopping. What should you look for in a pair of sunglasses? Three big things: good eye protection, comfort and a fantastic style. Your sunglasses must provide protection from ultraviolet radiation, a component of sunlight that contributes to eye disease. The FDA, the government agency that oversees sunglass manufacture and sales in the U.S., recommends you look for sunglasses with lenses that block 99-100% of UVA and UVB radiation. The label should read either UV 400 or 100% UV protection. Polycarbonate, a durable lightweight plastic. CR-39, a plastic used mostly in prescription-grade lenses. Glass, durable but much heavier to wear. Gray lens tints reduce brightness, but do not distort color. Brown and amber tints reduce glare, including the glare created by the blue frequency in sunlight, which can make things appear hazy. Brown and amber tints distort colors more than gray tints do. Yellow lens tints reduce the haze from blue light better than browns, so they really sharpen up the view, but they cause more color distortion. Green tinted lenses reduce glare and help filter out some of the blue light. They provide good contrast between objects. Rose colored lenses might be a good choice if you participate in water sports or other outdoor activities, because they provide good contrast for objects viewed against blue or green backgrounds. Should you buy sunglasses with polarized lenses? Polarizing films applied to lenses help reduce the glare created when light bounces off of some objects, such as water, highways and other similar surfaces. I prefer polarized lenses, but it’s a personal choice. A thin coating can be applied to lenses to make them more resistant to scratches. Plastic lenses scratch more easily than glass lenses. You’ve seen sunglasses with a mirror finish on the outside of the lenses. They’re popular, but mirrored lenses scratch easily because the mirror finish is applied last. Photochromatic (or photochromic) lenses become darker when exposed to UV radiation. The shift happens quickly as your surroundings change from bright to dim. Anti-reflective coatings reduce the reflection caused by light that hits the back side of lenses, keeping it from bouncing into your eyes. Sunglass frames are made from plastic, base metals, titanium, aluminum and many other materials. Try on lots of frame types to compare their weight and to find out which ones feel the best. Children need protection from UV radiation and glare, so take care when buying sunglasses for them. Forget about those flimsy little play sunglasses–get them something that will protect their eyes. Sunglass lenses that wrap around to your temples keep out more light and UV radiation than typical lenses. 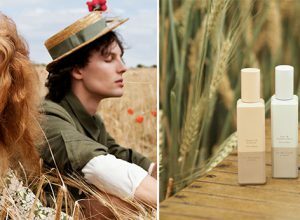 Toss on a wide brimmed hat for more protection from the sun. It’ll help keep your skin healthy and younger looking. Experts tell us that less squinting equals fewer wrinkles. Protect those eyes now! 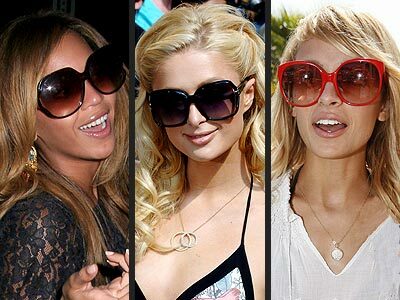 Sunglass styles change every year, just like every other fashion, but the selections are so varied that no pair will ever really go “out” of style. And since sunglasses don’t have to be expensive to be effective, you don’t have to spend a fortune to develop a nice collection. Designer and specialty sunglasses, like the kinds used for sports, cost more than most sunglasses, but you’ll find all kinds of fashion glasses for sale at affordable prices. Watch the UV ratings carefully and you’ll be fine. Unless you already know which frame shapes look good on you, go shopping and try on as many styles as possible. If you can get permission to walk outside with glasses on, do it, so that you can find out how they actually work in the sunlight.